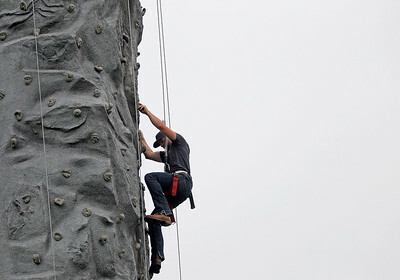 Matthew Apgar - mapgar@shawmedia.com Cameron McAuliffe of McHenry ascends to the top of the rock wall at Ribfest in Sunset Park on Saturday, July 11, 2015 in Lake In The Hills. 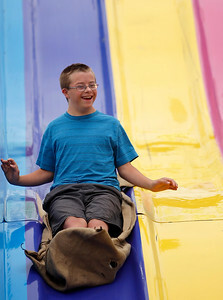 Matthew Apgar - mapgar@shawmedia.com Riley Mellin of Batavia, 13, is all smiles coming down the Fun Slide at Ribfest in Sunset Park on Saturday, July 11, 2015 in Lake In The Hills. 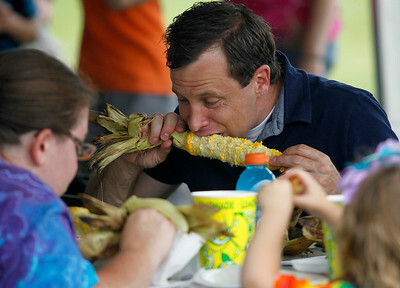 Matthew Apgar - mapgar@shawmedia.com Mike Oster of Crystal Lake enjoys an ear of corn during Ribfest at Sunset Park on Saturday, July 11, 2015 in Lake In The Hills. 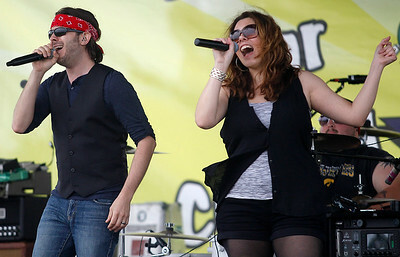 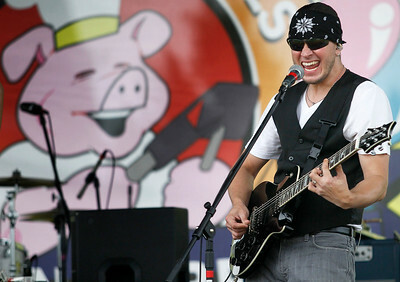 Matthew Apgar - mapgar@shawmedia.com Recycle The Day plays on stage during Ribfest at Sunset Park on Saturday, July 11, 2015 in Lake In The Hills. 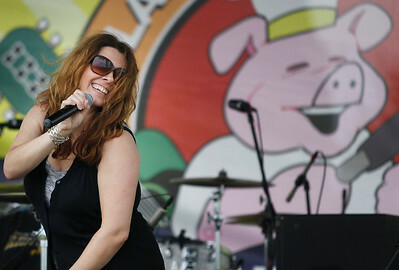 Recycle The Day plays on stage during Ribfest at Sunset Park on Saturday, July 11, 2015 in Lake In The Hills.